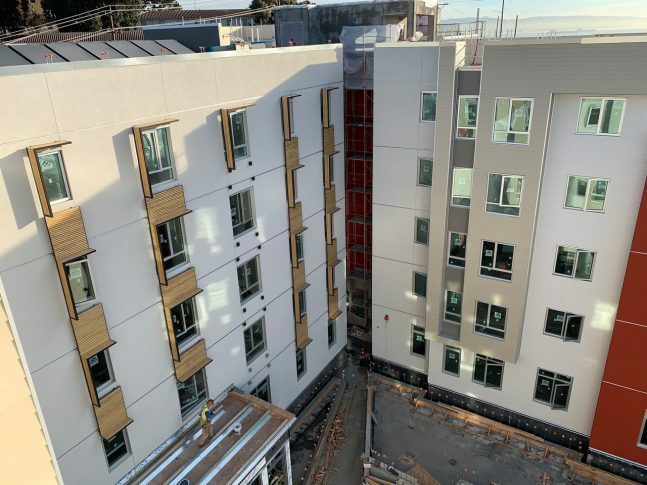 Block X is the first building in the redevelopment of the troubled 38 acre Potrero Public Housing site in San Francisco. 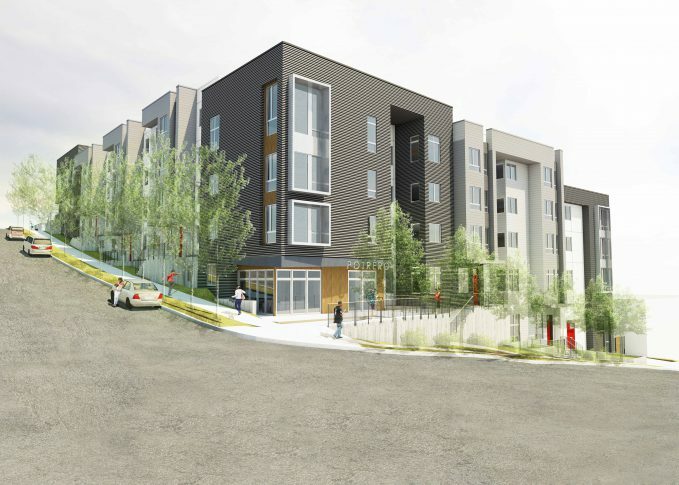 It is the result of a multi year effort working with the residents and surrounding community to shape the redevelopment master plan in what will be a 1700 unit mixed use, mixed income neighborhood. The building is located on a vacant steeply sloping site and will offer views across San Francisco Bay and South toward the South San Francisco hills. 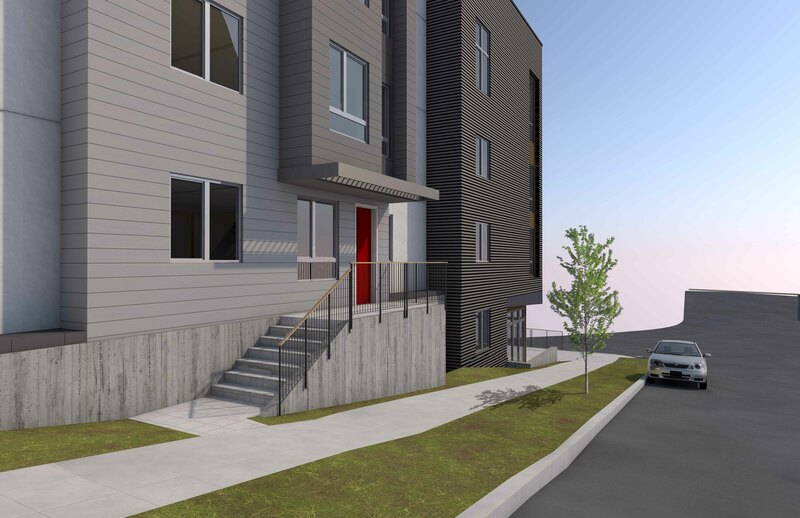 The massing steps with the topography and complements the buildings in the surrounding neighborhood. 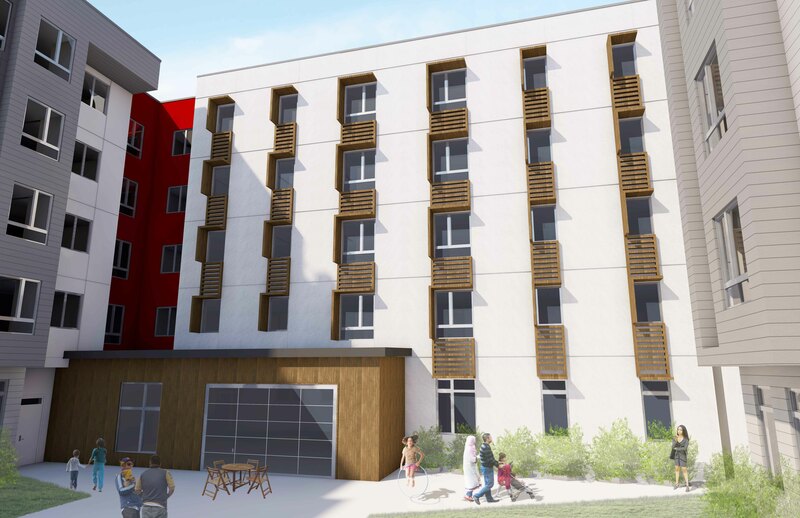 The common spaces and apartments take advantage of the views with a large south facing courtyard designed for play, interaction, and barbecue. 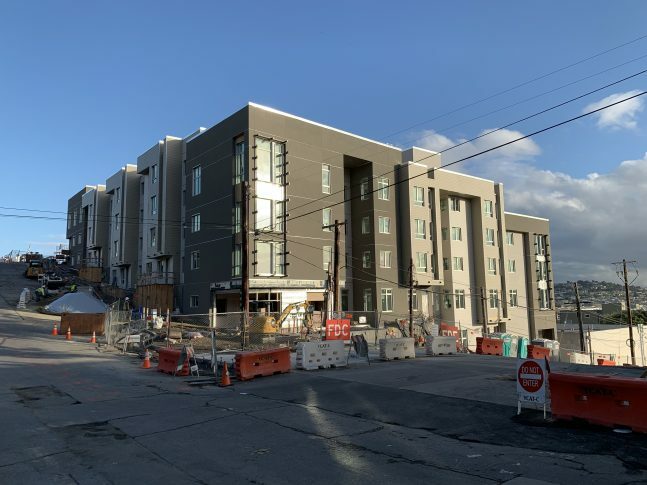 As part of the significant revitalization effort Block X offers a model of high density affordable housing on a steep hillside and symbolizes the rejuvenation of the neighborhood. 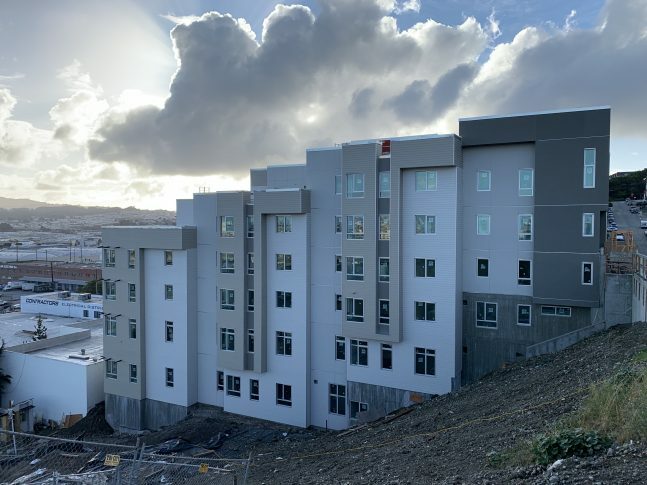 The building will include 72 units of family housing, property management offices, services office, sub-grade parking for 29 cars, extensive bicycle parking, and multiple laundry facilities.